Today I have such a gorgeous polish to show you, I just can't get enough of it. This has been on my nails for 4 days already and I really just don't want to take it off. Luckily, I really don't have to, as I only have the slightest bit of tipwear on 2 of my nails. The rest of my mani looks absolutely flawless! 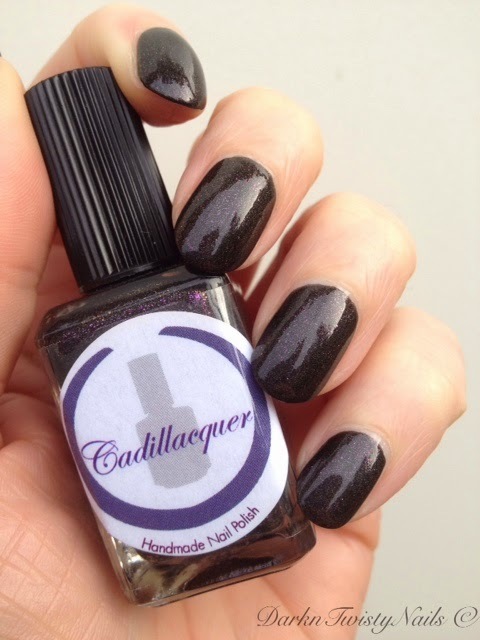 Cadillacquer Pink Teddy Bear is a black base with a pink, slightly color shifting shimmer and a scattered holo dusting. This is part of the Breaking Bad collection and was first released in 2013. The formula is bang on. It's easy to paint, dries really fast and shiny and it's opaque in 2 thin coats. It's so opaque, that if you do a slightly thicker coat, you might be able to get away with just 1 coat if you're in a hurry. My pictures don't do this polish justice at all, the shimmer is much more noticeable in real life and absolutely gorgeous! The holo is so finely milled, that you don't really get the rainbow effect, it just adds depth to the base. I absolutely love this polish! When I first got it, I thought it was pretty, but I didn't expect it to have the can't stop staring at my nails effect. Let me tell you, I was wrong! It's simple, but stunning and it looks different in every light. 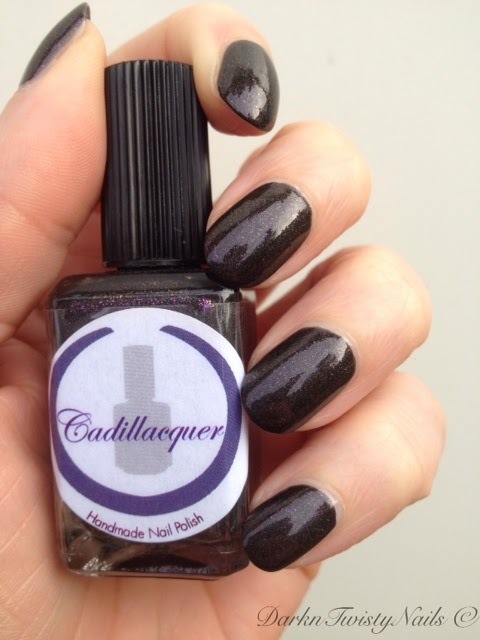 If you love darker polish, this is the one to get! 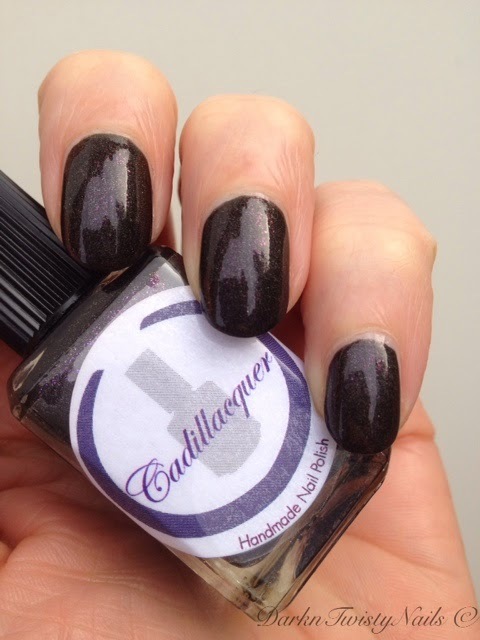 Cadillacquer is available at Llarowe, Harlow&Co and I got mine at Hypnotic Polish. Every single polish I tried from this brand has a perfect formula, so I highly recommend checking it out! 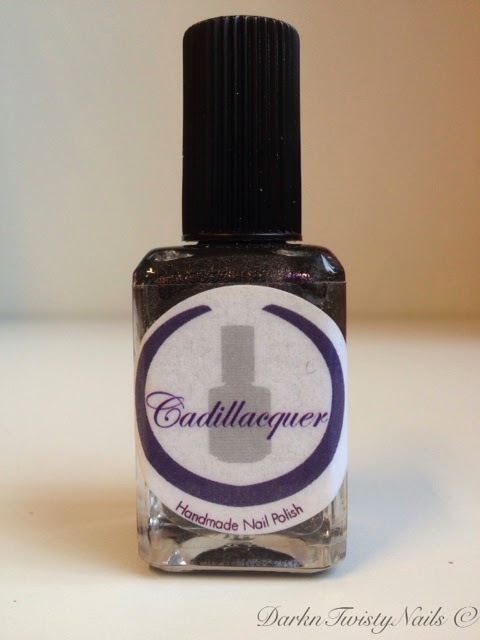 Are you familiar with Cadillacquer and, if so, what's your favorite polish? Je enthousiasme maakt dat ik zelf helemaal gek op dit lakje wordt haha! Ziet er goed uit! :-D Al verlang ik naar een close up!!! Ha ha, hij is ook echt gewoon zo ontzettend mooi!